BACK ON THE MARKET. Buyer's Financing fell through. 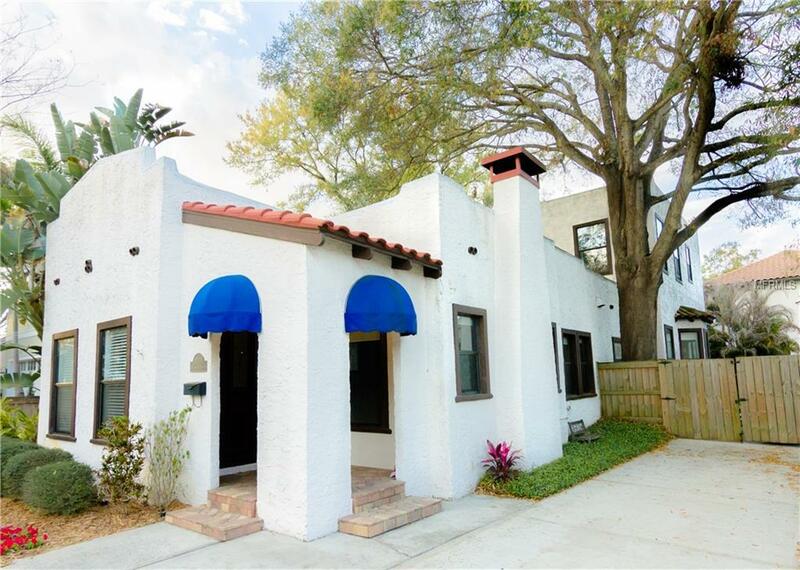 Historic charm, modern luxury and one of South Tampa's most sought after neighborhoods. Built in the 1920s, tastefully renovated with a two story addition, 4 bed/4 bath home in Palma Ceia features historic charm but offers the amenities of contemporary living. Enter through the foyer with coat closet to original pine wood flooring and pecky cypress ceilings reflecting the workmanship of the 1920s. Enjoy your wood burning fireplace after hosting in your gourmet kitchen featuring granite counters with main and prep sinks, 42" cabinetry, commercial grade gas stainless appliances, 180 bottle wine storage, and additional drawer style refrigerators. Your first floor master bedroom showcases a bath with his and her vanities, spa tub with marble backsplash, glass enclosed marble shower and flooring and large walk-in closet with built-ins. The ground floor includes another bedroom/playroom/office and full bath with travertine floors and tub surround. Enjoy the light & bright feel with lots of windows in your den off of the kitchen and leading upstairs to the office nook, separate storage room and two additional bedrooms with en-suite baths. Outside, youll be greeted with lush landscaping and a covered lanai with outdoor kitchen that is perfect for relaxing and entertaining. Newer roof, plumbing, electric, dual HVACs and instant gas hot water heater. Make this home yours and enjoy the lifestyle of walking to some of South Tampa's best restaurants and shops. Listing provided courtesy of Bright Street Inc.